With so many gorgeous hotels to stay in and an enormous wealth of locations it is, even for me who lives in Spain, very hard to choose. I hope some of these Spanish hotel reviews will help you make up your mind. 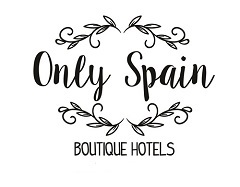 See our sister site Only Spain – Boutique Hotels our growing collection of lovely hotels, usually small and owner-run, if you want some help planning your Spain visit see Trip Planning in Spain or read on …..
Do you have a hotel you’d like to see on these pages? Have you visited one you’d like to recommend to us? Please feel free to get in touch. Seafood Cooking Class at Hotel La Gastrocasa – Valencia – over on Only Spain Boutique Hotels. If you would like to be featured on our Spanish Hotel Review page or you’d like to recommend a hotel or anything Spanish to us just get in touch via our About page.